Dr. Gretchen Roedde is proving one of the National Capital Region’s most in-demand speakers. 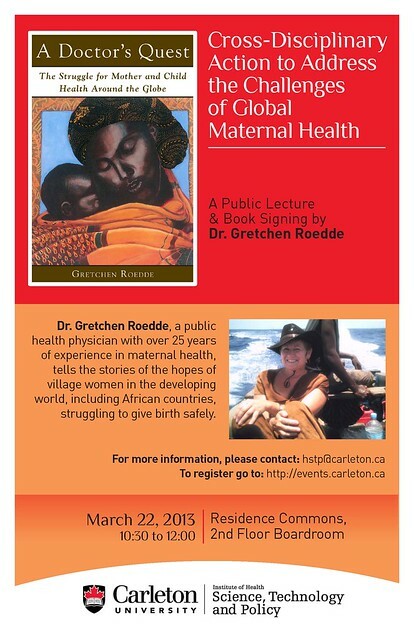 Following engagements with the Canadian Society for International Health, the Canadian International Development Agency, and Ottawa’s Perfect Books, the A Doctor’s Quest (Dundurn 2012) author is set to discuss the challenges of global maternal health. The Carleton University-sponsored event is open to the public, but advance registration is required. For further information, see the event poster below.